Picture from the DoD Pest Management Workshop held in Jacksonville, FL. When Earl and his black spaniel mix were fishing, the small boat capsized. When the boat flipped over, Earl put Lacy on top of the boat to make sure she stayed safe. He stayed in the water with his life jacket. It’s generally accepted that of all the controversial people food trends out there, the paleo/raw/low carb/low fat rules of ingestion, the one thing everyone seems to agree on is Michael Pollan’s Food Rules, which at its core is this: don’t eat so much processed food, and don’t eat so much food in general. Agreed, and you can certainly extrapolate this to pets too. However, with over 50% of US pets overweight or obese- a condition with definite and real consequences- I’m more concerned with the latter than the former when it comes to pets. If you prepare your pet’s food, you’ll be bored with this post. If you don’t, and need a little help, read on. I feed Brody commercial food, so I won’t judge you for doing the same. As you all know, dissecting thorny nutritional questions could fill a whole book, so this post is limited to current marketing trends. There are plenty of buzzwords out there designed to convince you that this or that new food is the healthiest one, the most wolf-like, light years ahead of all the other ones. But do these trends really mean anything? Based on what I’ve seen hitting the shelves this past year, here are my own personal Food Rules I keep in mind when shopping. 1. The term “natural” doesn’t tell you much. In AAFCO terms, natural pet foods only means nothing chemically synthesized (except vitamins.) The word natural does not imply better (cyanide is natural! ), or even minimal processing. Natural pet food can still be processed and rendered and full of chicken feet from China. Don’t buy a food just based on that word without actually reading the label. 2. Dogs aren’t wolves, they’re dogs. 3. Most dogs don’t need a low carb diet. The general consensus amongst those who know a ton about these things, like DVM/PhD nutritionists who run Iditarods with performance dogs such as Dr. Arleigh Reynolds (he spoke at a great BlogPaws session), is this: performance dogs may benefit from the additional protein and/or fats in low carb foods. For the average dog, the extra calories just tend to make them fatter. 4. Most dogs don’t need a grain free diet either. If you want to go grain free for your dog, it won’t hurt them. But ask yourself: why? People usually assume grain free diets are better for dogs based on one of a few ideas: grains are covered in glutens and glutens are bad; or grains are carbs and carbs are bad. Gluten free diets are all over the place these days because of the incidence of celiac disease, a real and devastating condition in people. But with the exception of one subset of Irish setters, it doesn’t occur in dogs. Or do you think your dog is allergic to grain? 5. Most dogs aren’t allergic to grains. Of all cases of allergies in dogs, food allergies only comprise 10% of them. And of those food allergic dogs, the 5 most commonly diagnosed allergies are: beef, dairy, chicken, lamb, and fish. Are grain allergies possible? Yes. Likely? No. If you’re feeding a grain free beef formula because you think your dog is allergic to wheat, consider a food trial to confirm your suspicions. 6. There is no one ideal food for your dog. Anyone who says ‘this and only this brand/line is all that will ever be appropriate’ is lying. There are always options (even prescription diets are usually available from multiple manufacturers), and unless your dog has a specific medical condition you’re treating with diet I encourage people to try different foods and see what works best. As I’ve said before, I rotate foods all the time. If you try the most pricey food in the store and your dog gains 15 pounds, starts flaking off greasy dandruff, or starts pooping 6 times a day, who cares what the bag or the guy in the apron stocking shelves said? Do what works for you. 7. If your dog’s overweight, get that sorted out before worrying about corn and byproduct meal. I’m not certain exactly what so many people think corn is going to do to their dog, but they are certain it’s going to do something bad so prescription weight loss food is out of the question for their 115 pound Akita who can barely walk. Then they put the dog down when both knees go out. This is a true story from my clinic, which happened after 6 months of begging the owner to put the dog on a diet, any diet, corn or no. Don’t focus so much on what might happen that you miss the real danger happening right in front of you. Koa lost 12 pounds (non diet food, just portion control) after we adopted her and was all the happier for it. I talk more about how to decipher food names, ingredients, and what I tell people when they ask me to make a food recommendation in prior posts linked here. Got your own pet rules? And should I do a cat one? *If you’re one of those uncommon home cooking owners, awesome for you. That is not said sarcastically. I know it takes a lot of work. And if you’re a raw feeder, I accept that you have researched it and know what you’re doing and disagree with feeding kibble. Go forward and BARF and peace be with you. ** See *. I’m talking to the rest of the crowd. … Date Set for Folger Flea. Annual flea market at the Folger Home is one week from Thursday. Drop offs early next week. Posted by Lori E. Switaj (Editor), June 11, 2013 at 10:56 pm. Comment Recommend. Flag as Inappropriate. The Folger Home. File photo. CropChatter: Have I hit the threshold for flea beetle? Just like people, dogs come with different personalities; they can be energetic, low-key, high-maintenance, or down to earth, and while some dogs can be extremely outgoing, others can be severe introverts. There is nothing necessarily wrong with a shy dog, but a healthy amount of socializing helps reduce the risk of your dog developing aggressive traits, as well as keeps your dog familiar with other people and pets. Also, shyness isn’t always a simple personality trait, but instead, it can be the result of a past trauma or fear. Whether you have a dog who you didn’t have the time to properly socialize as a puppy, or an older rescue who you want to convince to give the world a second chance, here are a few tips to help get you started. Many pet owners make the mistake of trying to push their dog into large groups of people or pets too suddenly, but this tactic can overwhelm your pet. Avoid dog parks at busy hours of the day, and instead, try your best to set up a play date with someone you know who owns a mild-mannered dog. 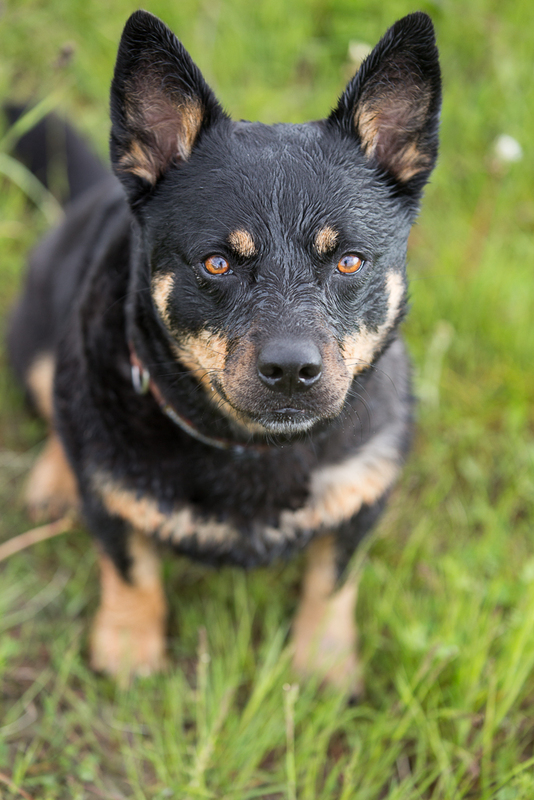 An aggressive or overly-hyper dog can be intimidating to your bashful canine who would be much more likely to warm up to a calm, easy-going pup. This will help your pet learn to establish a trusting relationship with a fellow species member and, in turn, decrease the tension felt when approached by other dogs. If your dog crouches down or backs away any time a stranger comes into your house, encourage your visitors to get down on their backs with their legs and arms up in the air. By demonstrating a submissive behavior, your dog will see them as less of a threat and will be more willing to warm up to the individuals. As much as you might want to force your dog to open up, never encourage your visitors to try and make physical contact first, but rather allow your pet to make the decision to come to them. Visitors should refrain from making direct eye contact as this is often seen as a direct threat. 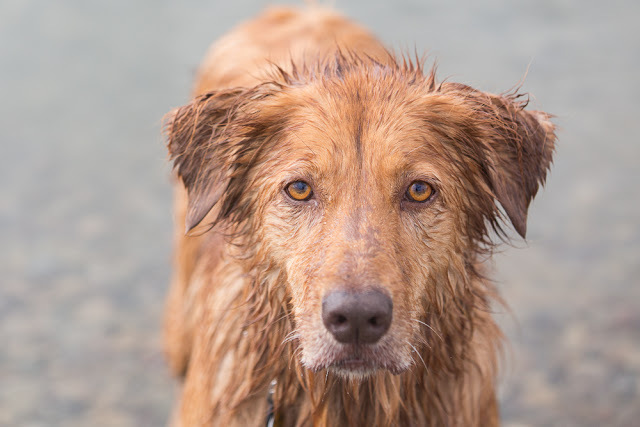 When your dog does approach a stranger, have them reach out to the dog’s side or back but never the head area because, as with eye contact, this can be taken as a threatening gesture. You might also want to supply your guests with a few puppy treats, so that your dog starts associating the physical interaction with a reward. After your dog starts having positive interactions with other canines and new people, slowly start building up your pet’s social life. Go to dog parks or any other areas frequented by pets and their owners to get your dog used to being around large groups, but don’t get discouraged if he/she prefers to stand by your side and just observe the others at first. The point is to get your four-legged friend familiar with being in large crowds, and the key to making it work is being consistent and dedicated in your approach; when your dog is used to being in that environment on a daily basis, the fear and anxiety will naturally start to fade away. Socializing a sheepish dog can be a long process, and while you may feel discouraged, hopeless, or even at fault, it’s important to stay persistent with your goal. By warming your dog up to other pets and people consistently, you will see progress being made. While your dog might never be hungry for the spotlight, easing any fear and feelings of uneasiness around strange dogs and people will help your best friend learn to breathe deep, relax, and enjoy life a little bit more. Ron Rutherford is a writer who loves spending his free time exploring and hiking with his canine pals. He currently freelances for the Wireless Dog Fence provider, Havahart Wireless. I love sweets. Give me a vanilla milkshake, a chocolate cupcake, a jelly doughnut, a warm peanut butter cookie, a slice of strawberry cheesecake, or a lemon tart, and I will be a very happy girl. I don’t discriminate when it comes to desserts. I love them all. But when it comes down to it, it’s pie that, errr, takes the cake. When I was a little girl, it only took a promise of custard pie or lemon meringue pie for me to be on my very best behavior. These days, a piece of blueberry pie topped with vanilla bean ice cream can make my entire week. 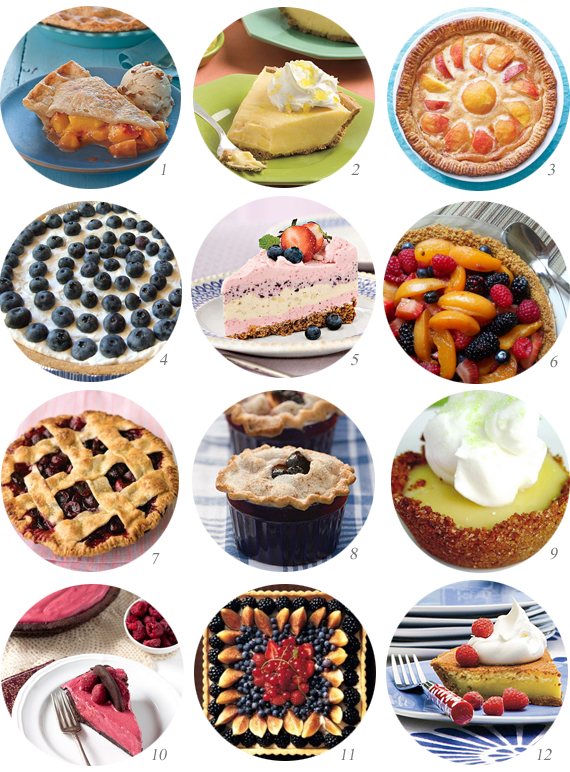 So today, I decided to share some of my favorite summertime pie recipes (because let’s face it, summer pies are the best pies) with you. And if you have one that I missed, be sure to let me know. The more pie the better. Getting the toy (in Coulee’s case) and the treat (in Lacey’s case) is very serious business.